Have you ever bleached your curls only to find a mess of dry, straw like strands? Bleach can definitely be harsh on delicate strands. However, there are ways to manage curls after a chemical treatment. Here's how to hydrate curls after bleaching. There are tons of great reasons why curls should be hydrated. Hydration will help clean the scalp, allowing curls to grow faster. Curls will become stronger and therefore less prone to damage. 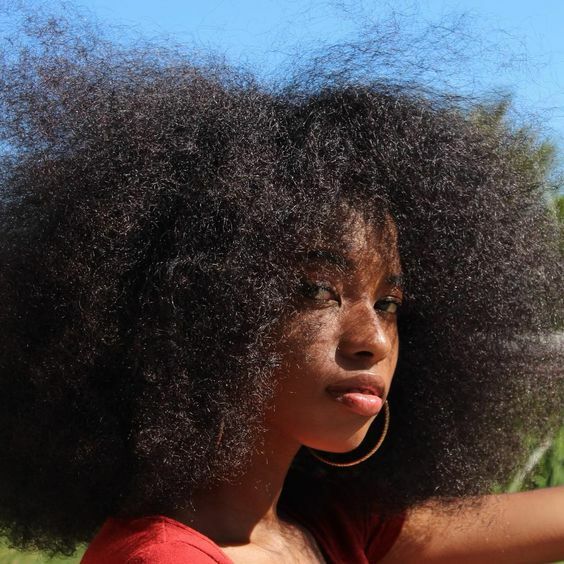 Before slathering a product into your curls, take the time to learn about it. As soon as you're done bleaching your curls, it's time to hydrate. Check ingredients on bottles and toss any containing sulfates, parabens, mineral oils, or chlorine. Select products that offer moisturizing ingredients instead. Follow any shampoos with a hair serum. Before using any type of heat, make sure to use a spray to protect your delicate strands. Following chemical treatments curls are at their most vulnerable. Therefore heat should be avoided as it can be damaging even to healthy curls. Instead of picking up a blow dryer or a flat iron, allow curls to air dry. Giving your curls some time to recover after a chemical treatment can allow strands to heal. Make sure to treat your curls to a little TLC after a chemical treatment. Avoid rubbing them dry with a towel, and instead pat curls dry. Avoid blasting curls with hot water and instead shampoo or cleanse with warm water. Try to avoid overusing shampoos and instead opt for a gentle co wash to help keep curls safe. Don't forget to deep condition regularly. You can also use a protein treatment to help repair damage done by the chemical treatments. How do you care for your curls after a chemical treatment? Let us know!